get you there in style? Our LAX airport limos are waiting! Whether you are headed out on a business trip to land that big deal or headed off on vacation avoid the hassles with the traffic and the ridiculous parking fees at the airport. Or perhaps you want to impress the out-of-town business guest or show your in-laws that your spouse did not make a mistake in marrying you. Call 800-400-9771 now to reserve your airport limousine service today! Check out our fleet of late model, immaculately maintained limousines. Just going on a quick trip with little luggage try our Cadillac XTS or Mercedes Benz S550 – you will turn heads while traveling in the lap of luxury. Do you need more space – more passengers and guests – try one of our top of the line SUV’s the Cadillac Escalade or Lincoln MKT. And if you are taking the whole office on this trip or you simply like being ‘over-the-top’ then reserve one of our stretch limousines – the Lincoln Towncar or the stretch Cadillac Escalade. Not flying into or out of LAX, no problem. 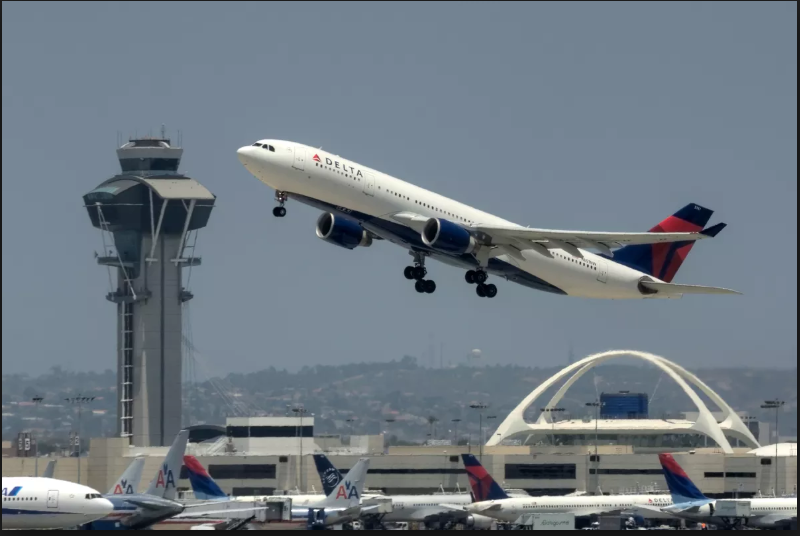 We routinely take and pick up clients at all the airports in the Greater Los Angeles area including Hollywood Burbank (sometimes called Glendale Burbank) BUR, Long Beach Airport LGB, John Wayne Airport in Orange County SNA, Ontario International Airport ONT. With more than 30 years of luxury transportation experience First Class Limousine is the preferred limousine airport service celebrities, professional athletes, and luminaries from all walks of life and yet most of our clients are people just like you. Call 800-400-9771 now to book your airport limo. First Class Limousine takes pride in our outstanding record for on-time service to all airports (no easy feat in Los Angeles traffic). We offer 24-hour availability and total discretion for our customers. It is our attention to detail and customer service focus that makes us the pride of Los Angeles. Coming to Southern California on business? We know the ins-and-outs of all the convention centers and hotels that are convenient to them. Give us a call and we can help with all your business trip transportation needs. Book with us and arrive in style at your venue making an impressive statement. While your in town take in some of the many tourist attractions; Disneyland, Universal Studios, Knotts Berry Farm, Hollywood Walk of Fame, our beaches and more. Maybe you would like to take in a professional sporting event. We can take you to any stadium, ball park or arena. Regardless of your reason to go to or come from the airport, give First Class Limousine service for all of your airport transportation needs. Call now 800-400-9771.